This online colloquium has been established to discuss David Boucher’s recent book, Appropriating Hobbes: Legacies in Political, Legal, and International Thought. We began with an introduction to the text by Professor Boucher. We now have a response from Howard Williams (Cardiff), which will be followed by responses from Eleanor Curran (Kent) and David Dyzenhaus (Toronto), and finally a reply by David Boucher. Many thanks to Oxford University Press for supporting this colloquium. This is a bold an intriguing book. One of its central claims is that there is no one political philosophy of Thomas Hobbes. Rather there are very many political philosophies by him that emerge in the varying debates that have occurred around his work over the centuries. I find this an appealing thesis since it demonstrates how the work of major philosophers develop over time, as they are read and re-read. One other way of seeing the thesis is to hold that the novelty of the philosophy can be experienced anew by each generation. There is a kind of flexibility built into great texts that makes them apposite in all ages. I’ll now briefly test this thesis, first by looking at how Hobbes saw his own project and then looking at a small number of Boucher’s illuminating claims. Hobbes was an essentialist philosopher. He believed that the truth about the world was singular and it could be discovered by one single individual. He believed that his works would stand for all time as eternally true. So convinced was he of the truth of Leviathan that he believed that it should be taught in schools and universities to all young people. And he was not immodest about this. He held that his book should be taught rather than all other texts! Hobbes’s essentialism arose from his materialist metaphysics. The world, including the human individuals that inhabited it, was but matter in motion. God for him was nothing other than the final cause that could be followed back from the things around us through a chain of cause and effect relationships. God was in this metaphysics itself no more than matter. Hobbes was a great admirer of the advances in natural science in his day. Two of his heroes were the physician Harvey and the Italian astronomer Galileo (9). Hobbes sought to emulate in the science of man what they had achieved in their chosen fields: he wanted to lay bare the laws that conditioned the activities of human individuals, and like Harvey in medicine he wanted to prescribe sure paths through which society might preserve its health. His materialist approach inevitably led to a determinist view of the human individual. Free will was largely a delusion. It was but a name that we adopted for the final step in the series of causes that brought about our actions. We may like to think this final aim as chosen, but it is in fact entirely presaged in the preceding series of causes. 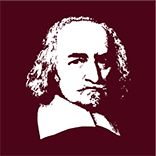 Dismissing free will allowed Hobbes to advance a theory of politics which contained natural laws (165) that predetermined how we should act and could be deployed by the skillful political leader to bring about the best results. The Leviathan was born from a dream of a perfectly determined political universe that had its best form to which wise subjects should shape their lives. In Leviathan he adopted an approach which was powerfully psychological. He believed he had examined the main characteristics of human behavior, set them in an order of priority and had established the laws that conditioned our responses to what we encountered in our experience. The main precept he believed that we could conclude from this psychological study is that men would always do what was in their power to avoid a violent death. Fear therefore presented a key emotion that could be invoked in bringing about a more settled polity. As Boucher points out by the time he came to write Leviathan (78-9), Hobbes had drawn the conclusion that, as well as the mechanical laws that determined our behavior, rhetoric might also provide the philosopher with an important weapon in the erecting of a stable and lasting commonwealth. Nevertheless, Hobbes never took his gaze away from the key psychological laws he saw as being in play in human behavior. In keeping with the theme of the book, Boucher makes the valuable and unusual attempt to set Hobbes’s political philosophy first within the context of Idealist philosophy. By Idealist philosophy Boucher has primarily in mind the British Idealist philosophers of the nineteenth and twentieth century on which he specializes. This is a good antidote to the usual interpretational context in which Hobbes is set of British empiricist philosophy, of which of course Hobbes is an important part. 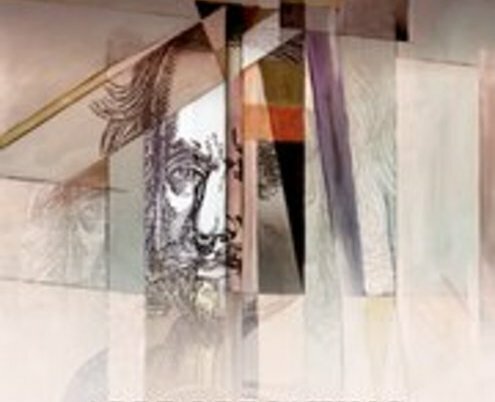 One of the further focusses of the book is the relationship between Hobbes and Carl Schmitt which is, in contrast, a more fashionable area and here again Boucher offers something new in approaching Schmitt from an idealist angle – a background which Schmitt would no doubt himself been aware of from those neo-Kantian philosophers who in the early part of his career were a dominating feature of academic German philosophy. In the succinct chapter on Hobbes and the philosophical idealists Boucher provides intriguing assessments of the varying reputation Hobbes enjoyed within the school. Kant’s assessment is seen as rather cool and lacking in detail (though Kant struggled throughout his career with the philosophical paradigm Hobbes adopted which he took to be dogmatic.) For Boucher Hegel goes further than Kant in appreciating Hobbes’s worth as a political philosopher. Boucher interprets, with some justice, the master and slave dialectic which figures in Hegel’s earlier Jena writings as a way of moving on from the traditional state of nature model whilst incorporating some Hobbesian insights. Green straightforwardly gets it wrong, seeing too much that is dark in Hobbes’s materialism and political realism. Ritchie and Bosanquet make good some of these deficiencies and some of the less well-known idealist writers (39, Sorley for example) writers begin to give Hobbes a prominent place in the history of political philosophy. Most noteworthy of all in this improving trend is Collingwood’s rehabilitation of Hobbes in the New Leviathan, written at the time of the Second World War. Collingwood realizes the power of Hobbes’s view of language as shaping reality and the precariousness of civilization which always rests on a struggle against barbarism. Instead of opposing barbarism in the manner Hobbes had envisaged the twentieth-century state was advancing its cause under the weight of technological advance and mass democracy. Oakeshott appears throughout as a judicious and fair interpreter of Hobbes who appreciates the true standing of his work. 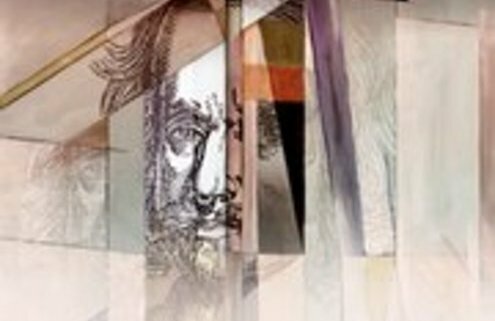 Oakeshott sought to bring out what was of lasting philosophical value in Hobbes’s work in contrast with Skinner’s historical approach which relegated Hobbes to a time-limited political controversy. If anything Boucher comes out more on the side of Oakeshott in this debate, whilst always respecting the intellectual context in which the doctrines arose and were later discussed. In his interlocutors Hobbes ran into an infinite variety of interpreters from authoritarians to liberals and from the moral to the amoral. None of the interpreters is without his appeal though some approximate more to the vision Hobbes himself had of his enterprise. Boucher briefly takes the essentialist line in presenting Hobbes’s ideas on international relations in advancing his own account. In this one area Boucher seeks to appropriate Hobbes, whilst in all other matters he leaves it in the hands of his interpreters. An unavoidable conclusion of the book is that we must all do political theory for ourselves.